Ruckus Wireless has unveiled the ZoneFlex R710 Access point, the industry’s first Wi-Fi AP based on Wave 2 features of the 802.11ac standard that extends Wi-Fi to enable multi-gigabit Wi-Fi performance and unprecedented capacity. 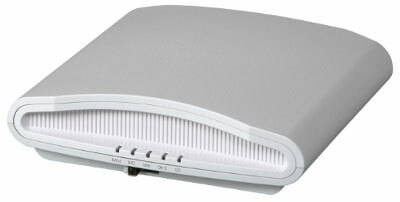 The new Ruckus ZoneFlex R710 is the first Wi-Fi access point to now support major technical advances in the 802.11ac standard that allow the simultaneous transmission of multiple client streams to different devices over the same frequency, a highly anticipated new capability called multi-user multiple input/multiple output (MU-MIMO). This enables over two times the density of mobile devices versus Wave 1, and aggregate data rates exceeding two gigabits per second. Among the first organizations to deploy the ZoneFlex R710 within a production environment, the City of San José, CA sees big value in the migration to new 802.11ac Wave 2 technology. According to Sammeta, after installing the Ruckus ZoneFlex R710, the City was able to achieve dramatic performance improvements, reaching over 445 megabits per second speed with two-stream-capable laptops, and over 200 megabits per second with single-stream mobile smart phones.